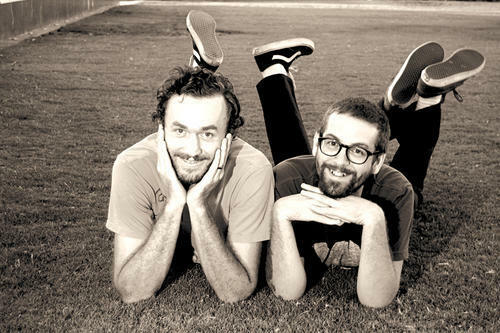 For this weeks First Impressions I was given a band I’d heard a lot about, but never had the time to actually listen to; Andrew Jackson Jihad. The band first surfaced on my radar when they were touring with Frank Turner, who has a history of taking his favorite bands on tour with him. Since I usually end up liking those bands, I made a note of the bands name with the intention of looking them up at a later date. When Vas suggested the band for this weeks First Impressions column I was thrilled to finally get an excuse to sit down and listen to them. 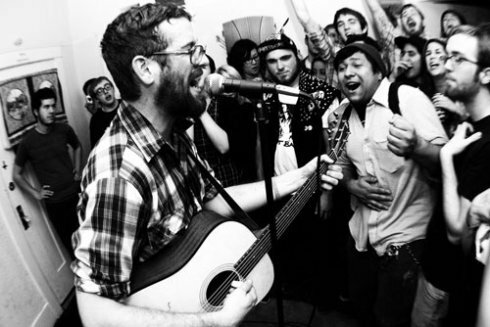 Andrew Jackson Jihad are often described as a “folk-punk” band from Arizona, and I have to admit that I have never before come across that particular genre of music. So all in all I was excited to dive into the three songs I was given. The first song that I was given to listen to was “People” off of their 2007 album, People Who Can Eat People are the Luckiest People in the World, and as soon as it started playing I had to wonder if I was given it because of the banjo. The song has a very DIY sound to it; it’s not bad quality but it sounds like it has been recorded in one take and not brushed up or polished in any way. And that’s a sound I quite like overall because to me its more honest. The singer reminded me of John Darnielle from the Mountain Goats a little, based on his delivery and his overall sound. The lyrics made me laugh a little because there’s an obvious dichotomy in what they say. On the one hand people are great and fantastic, but on the other they are horrible and hateful. As someone who works with the general public on a daily basis that love/hate relationship towards my fellow man is something I can relate to wholeheartedly. But overall I loved the message of the song and think that everyone can relate to the lyrics. “I have faith in my fellow man / and I only hope that he has faith in me” the song concludes. Overall I really enjoyed the songs that I heard. I think I’ll definitely keep listening to the band; they have a decent size back catalog that I look forward to exploring, and their fanbase seems really passionate. I was won over by the bands honest lyrics and folk-punk sense of enthusiasm.